The Walt Disney Company acquired Star Wars franchise in 2012 and announced three new films, with the first one, Star Wars: The Force Awakens, planned for release on December 18, 2015. And beyond a shadow of a doubt, Disney remains a master of the art of promotion. 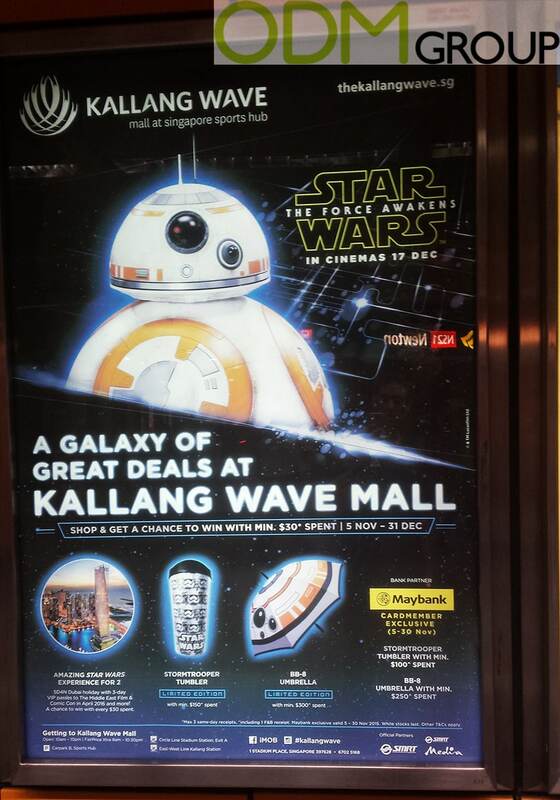 The company is able to appeal to different audiences with its different divisions and collaborations — say Star Wars comic books for super fans, Lego toys for kids, or branded messenger bags for scholars, given away in Subway restaurants. How the company benefits from promotional giveaways? This kind of campaign, promising prizes for spending a certain amount of money, provide a great opportunity for attracting new consumers, and serve as an incentive to spend more on the purchase. This is an exceptional marketing strategy for companies to increase publicity and achieve considerable local media coverage. 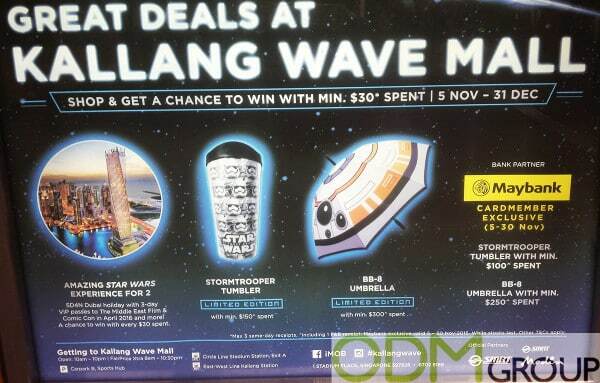 Using high-popular promotional items, such as tumbler cups and umbrellas, and moreover, in collaboration with a famous brand, will certainly increase brand reputation and brand awareness, and therefore, will stimulate sales and win consumers loyalty.